The world-renowned rabbi is especially noted for his commentary on the Babylonian Talmud, and he was the first to establish a yeshiva in Moscow (in 1989). This was the first in what was then still the Soviet Union, and the first to receive official recognition by the Russian government. A central feature of the event was the inauguration of a new exhibition based on the life’s work and heritage of the noted Chabad rabbi, which was attended by some 2,000 young Jewish participants taking part in the annual Limmud FSU Moscow festival. The exhibit was produced especially for the event by Limmud FSU and the Steinsaltz Center in Jerusalem, today directed by the rabbi’s son, Meni Even-Israel, and was the result of a first-time cooperation between the organizations. 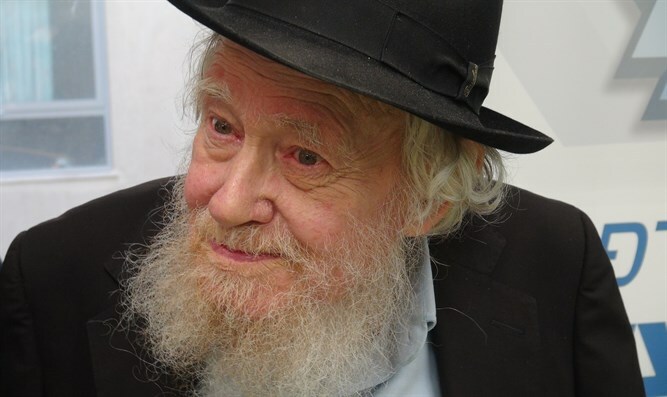 Rabbi Steinsaltz was one of the first spiritual leaders of Limmud FSU and took part in its inaugural event in Moscow in 2006. At the festive opening, a round-table discussion took place on the philosophy and heritage of the rabbi with the participation of distinguished guests from Israel and elsewhere including Rabbi Berel Lazar, the Chief Rabbi of Russia; Israeli Minister for Jerusalem Affairs and Environmental Protection Zeev Elkin, Steinsaltz’s student himself;Gary Koren, Israel’s Ambassador to the Russian Federation; Aaron G. Frenkel, President of Limmud FSU; Moshe Shvets, Vice President of the Euro-Asian Congress; Chaim Chesler, founder of Limmud FSU; Lia Shvets, Director of the Russian-speaking programs of the Steinsaltz Center; curator of the exhibit Uri Gershovich; coacher and psychologist Nesia Ferdman who also moderated the discussion and more. Minister Elkin said during the event: “For me this is an event of deep emotion. I was familiar with Rabbi Steinsaltz through his books at the beginning of my own entry into the world of Jewish learning, even before I arrived at the Yeshiva. I was not myself from Moscow but each time I visited the city in the years 1989 and 1990, I would visit the Yeshiva. It was a place where one could always be assured of an interesting lesson or the possibility of spending Shabbat. For me, the first Yeshiva in Russia was for me a real home."